Betfred launches Australian website but mobile only for now. Leading UK bookmaker Betfred has now launched their sports betting website for customers in Australian and New Zealand. 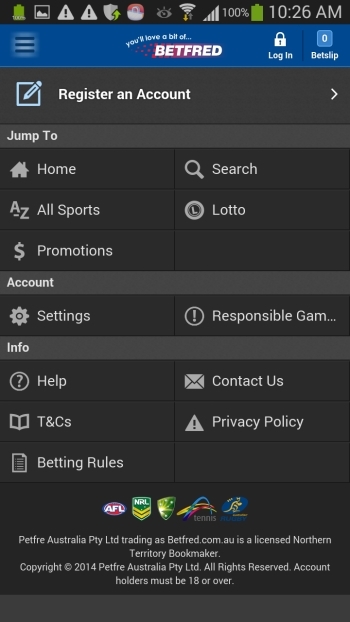 Currently the website functions only for mobile betting and does not yet offer horse racing betting. However as with Betfred's UK site there are certainly plenty of sports markets to bet on, and these include Australian popular betting sports such as AFL and NRL betting. Here is a screenshot of Betfred's Australian mobile site.